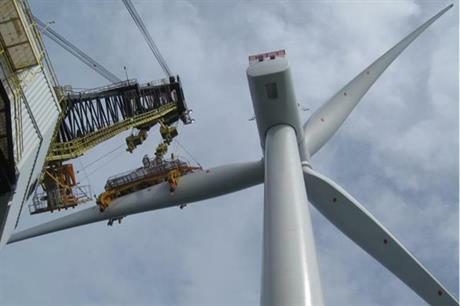 UK: The first of 56 Siemens SWT-6.0-154 turbines has been installed at the 332MW Galloper project off England's south-east coast. Developed by a consortium comprising Innogy, the UK Green Investment Bank, Macquarie, Sumitomo and Siemens, Galloper is expected to be fully commissioned early next year. The offshore substation was installed earlier this month, together with contractor VBNK starting work on installation of the second export cable. "To reach three key milestone in the project simultaneously, and see Galloper take shape after years of planning is a proud moment for all the team and project partners," said project director Toby Edmonds.